The Paddocks Business Centre, Cambridge, CB1. Cambustion Ltd is a company which develops and provides various emissions analyzers and engine research services. 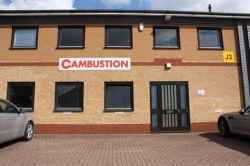 Based in The Paddocks Business Centre, 347 Cherry Hinton Road, Cambustion is an electrical component supplier. Cambustion is in The Paddocks Business Centre 347 Cherry Hinton Road. You can view a list of neighbouring businesses by going to the The Paddocks Business Centre page. If you would like a list of other listings throughout Cambridge, please visit the Components section of this website. Note: the pin is positioned at the postcode centre, and may not correspond with the precise location of Units E, J2, J3, J6, L, M, M2 & N, The Paddocks Business Centre, 347 Cherry Hinton Road.